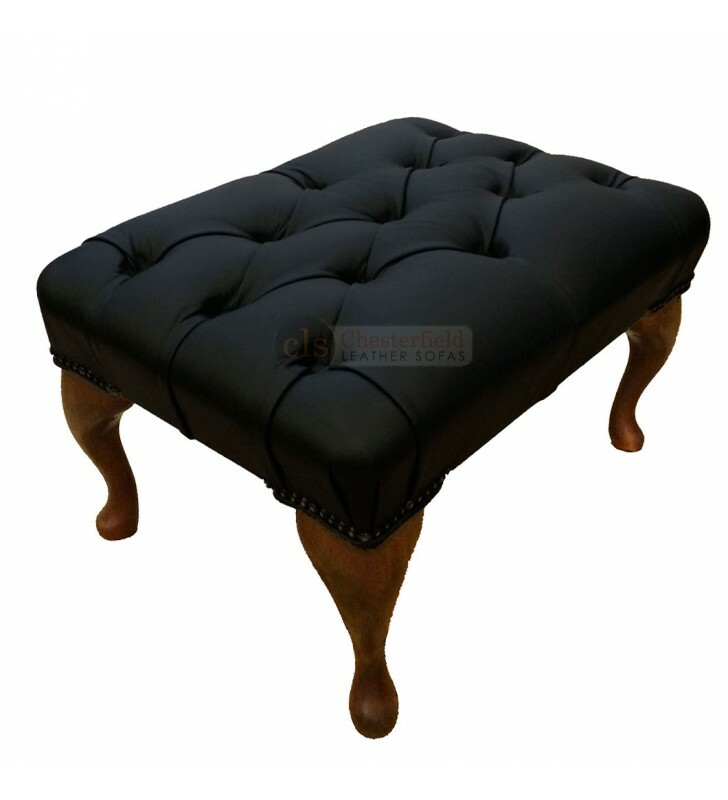 A top quality Black leather footstool to accompany any of our chesterfield range. With the wooden legs which have piping around them and deep button cushioned top providing you with years of luxury and style to your home. Handmade in the UK using the finest genuine leather.